The first time I’ve heard about MustangChain, I was understandably confused and skeptical. Before researching this topic, I always thought that breeding and racing horses was a matter of caring, the spirit, and simple mathematics. As it turns out, I was very much mistaken. It would appear that the world of horse races is filled with discrepancies, convoluted paper trails, and corruption. Even though people love to bet with Betfred at the Grand National 2019, each horse racing lover feels better knowing their favorite sport isn’t filled with corruption. The number of frauds and set-ups in terms of trading and lineage tracking is staggering. MustangChain is hailed as a solution to this, but what is it, exactly? I’ve only heard about blockchain through its connection with digital money. After a little digging in order to understand the subject better, I’ve discovered that it’s a system where bits of information are stored in blocks and those blocks are all connected to each other in such a way that there is no opportunity to tamper with the data. This is the reason the concept of digital currency was possible. 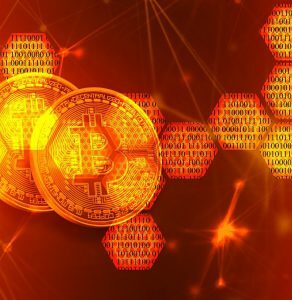 It works as a type of counterfeit protection – there is no way for the same money to be spent twice since every transaction contains within itself list of all previous transactions. It is relatively easy to follow the origin of financial changes. Horse trades and paperwork concerning lineage are mostly present in their physical, and not their digital form. 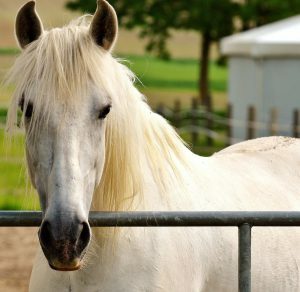 Because of this, they are easily falsified – someone could purchase a filly with paperwork stating its lineage is, say, Thoroughbred, when it is actually a mixed breed. Others may fib in terms of the horse’s age, selling them for higher profits by claiming the horse in question was younger than it really is. The horse’s medical history is also very important, as it holds info on all diseases it is likely to develop at one point in its life. The medical history should also show whether a horse is fertile at all. This is already a huge problem if the motive behind owning a specimen with good pedigree is just a question of arrogance. However, this heavily disrupts future breeding outcomes as well. Additionally, there is the issue of fraud, as purebred horses are worth thousands of dollars, as long as there’s nothing wrong with them. MustangChain is the integration of blockchain technology into the world of horse racing. Pretty soon, every horse could be issued a type of international blockchain passport of sorts, containing all of the information about the lineage and the previous owners, as well as price shifts over time. Think about it – everything you need to know about a horse tucked into a small, easily accessible package that everyone can see which gets updated every time there is a change. Blockchain technology offers the transparency needed in financial dealings between breeders, owners, and enthusiasts. The reason behind MustangChain’s name is the fact that the Mustang is the symbol of American pioneering spirit. It is there to allow all of those that love horses come together and share information freely.